Limited time only. 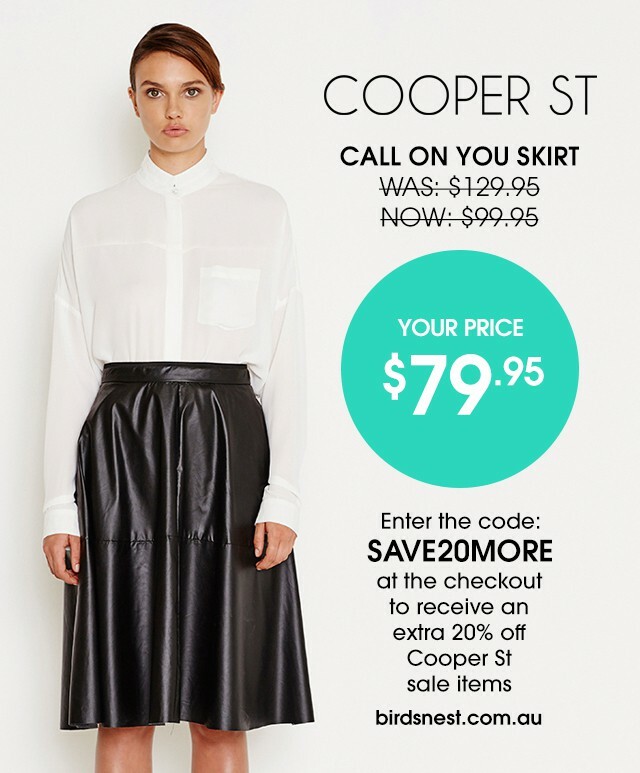 Use code: SAVE20MORE at checkout for extra 20% off sale. 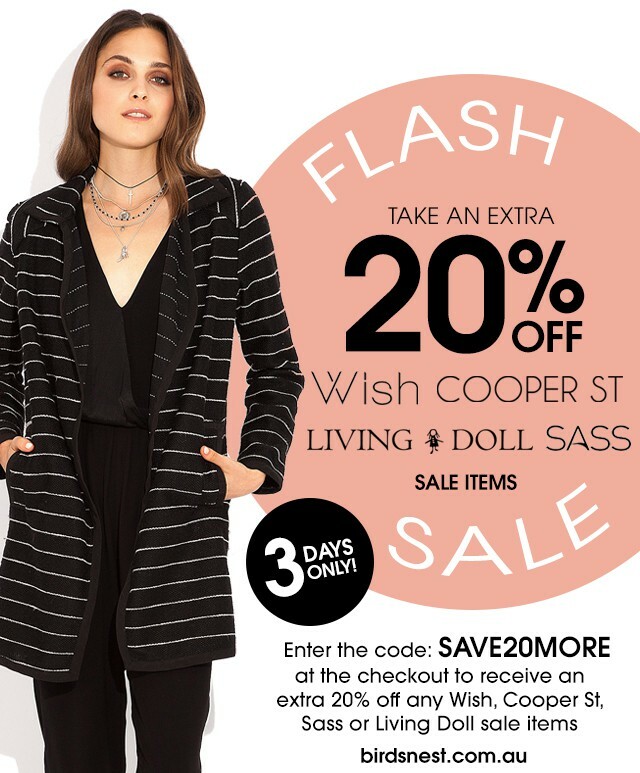 The winter flash sale has begun! 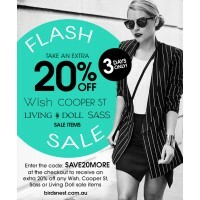 Use the exclusive code: SAVE20MORE at checkout for an extra 20% off all Wish, Cooper St, Living Doll and Sass sale items at birdsnest.com.au/womens/flash-sale Shop 250+ bargains with lots just added to sale and get your winter look for less! Express post and easy 365 day returns. 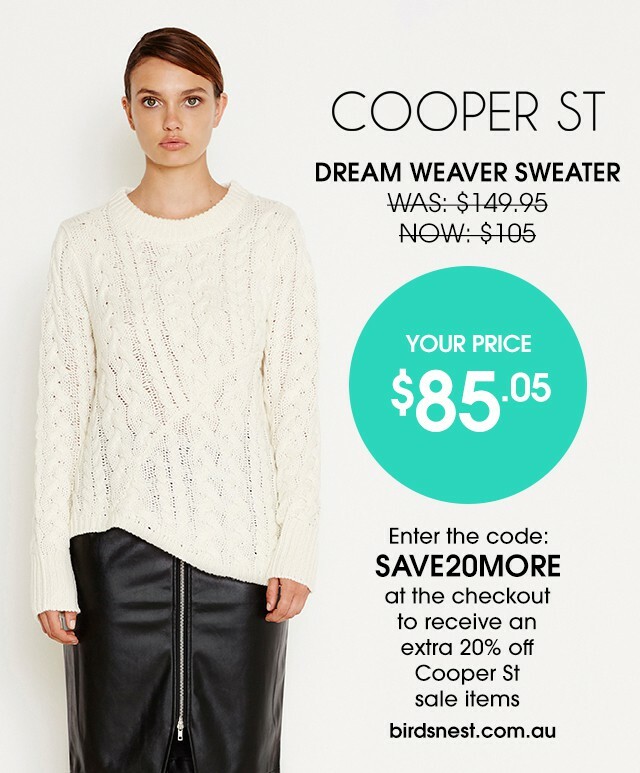 Expires midnight Friday, 12th June 2015. 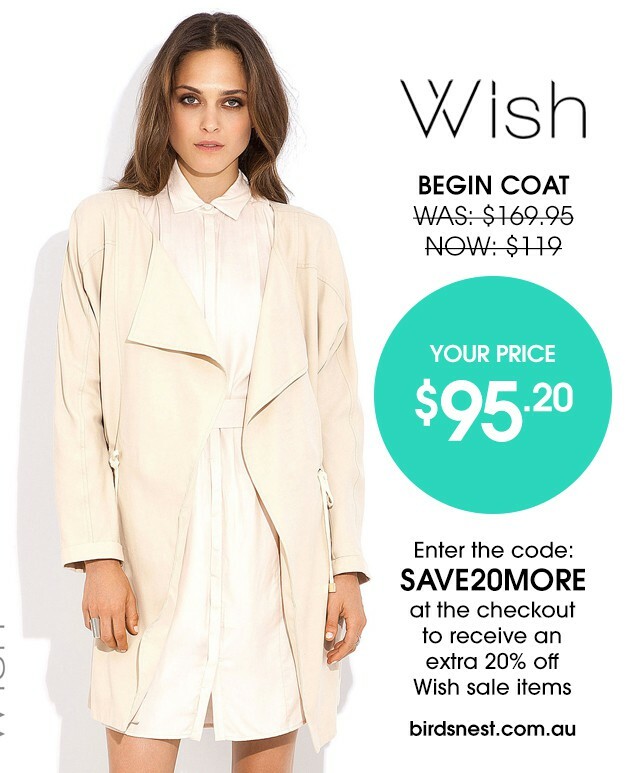 This winter, Wish has featured stunning tops, coats and pants. 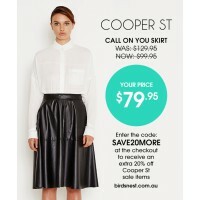 Cooper St has dazzled with new dresses, jackets and blouses. Sass has taken us by storm with cardis and parkas, and Living Doll has completed the picture with cool, casual fashion. 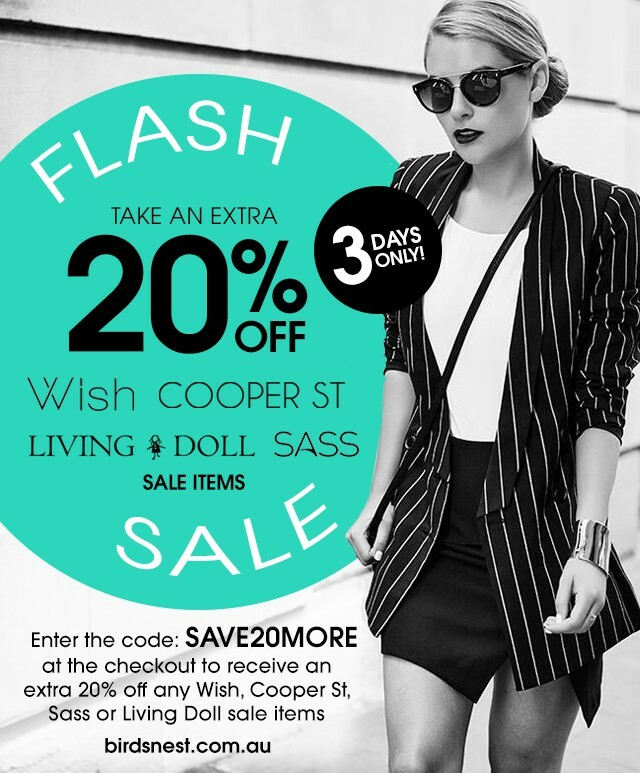 They're must-have and must-wear, and they'll be gone in a flash! 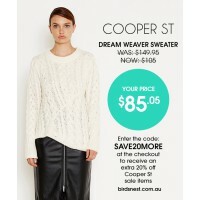 On sale and with an extra 20% off, only when you use the code SAVE20MORE at birdsnest.